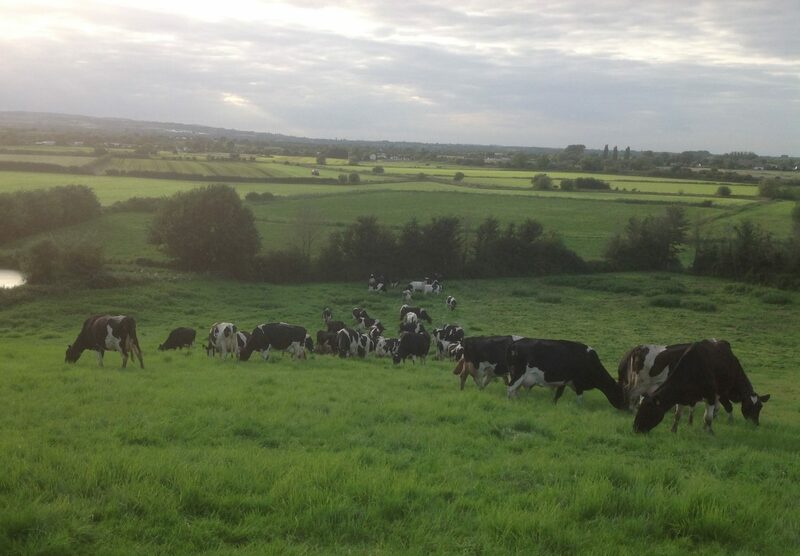 Dykes Farm is an organic, family run, dairy farm situated in the village of Stoke St Gregory with land on the ridge and low lying levels. 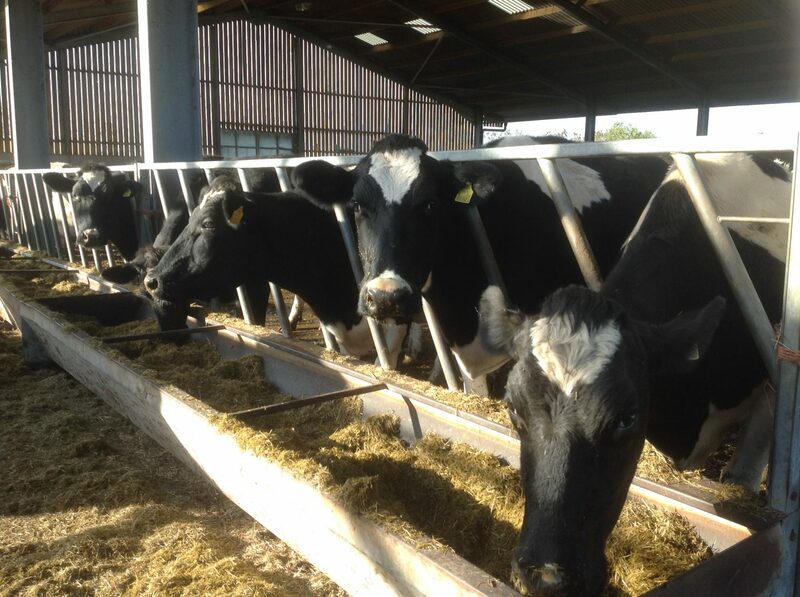 Grass is grown to feed the herd of 70 holstein friesian, black and white cows. The cows graze the fields in the summer months and are fed on grass silage, supplemented by a barley/pea wholecrop mixture and concentrate, during the winter, when they are housed. There are also 40 young-stock of various ages from baby calves to 2 year old in- calf heifers. 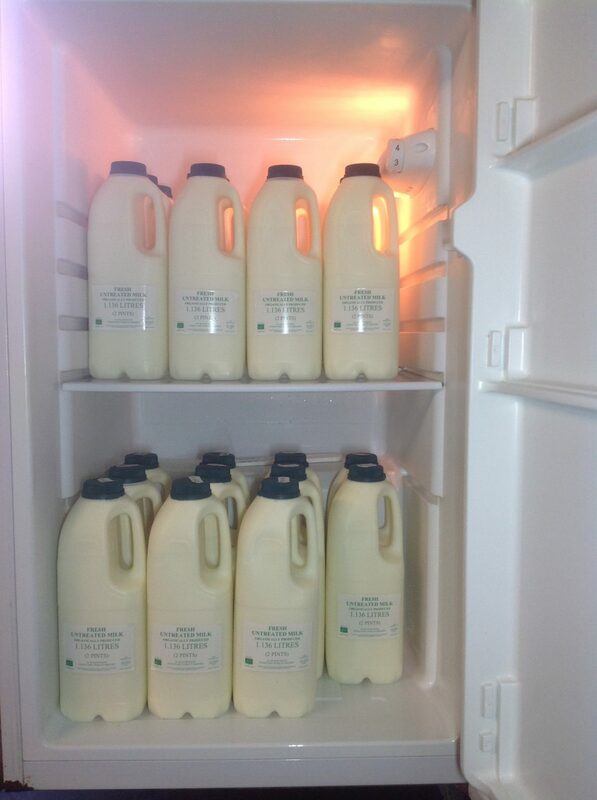 Most of the milk produced is sold through Arla to various dairies in the South West for bottling or processing, but a small amount is kept back to bottle and sell to local people, as well as customers who come from further afield. It is bottled daily in 2 pint plastic containers having been cooled quickly after milking to 3°C. It is available to purchase from a fridge at the farm from 6.30am to 9.30pm on a self-service basis at £1.20 per bottle. Please bring the correct money for the number of bottles you wish to buy. The herd is milked twice a day in a 6:12 herringbone parlour. We pay great attention to hygiene to ensure the strict bacteriological tests conducted on the milk by the Food Standards Agency are met. Our milk is analysed in an independent laboratory and the milking plant regularly inspected by the FSA to ensure that the cleanest milk is produced..
Our raw milk is a very different product to the milk you can buy in the supermarket. It is very fresh, as nature intended and direct from the farm. As it is raw (unpasteurised and un-homogenised) it has not been heat treated or had the fat molecules in the milk broken down into smaller particles, so the cream still rises to the top. If this is not to your taste then shake the bottle well before opening! Fresh raw (untreated) milk produced by Soil Association registered organic dairy cows.